Conclave's Windows version now has a sibling. 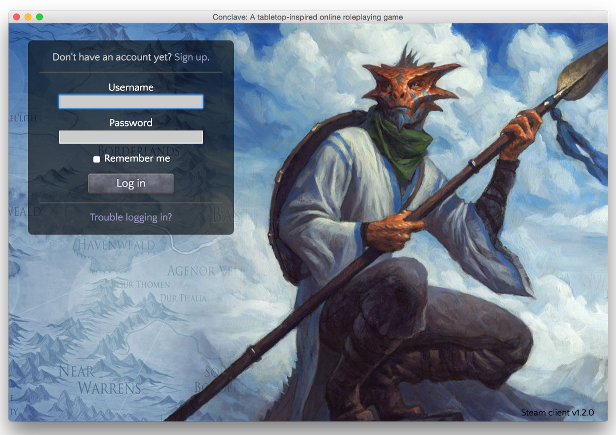 If you've been looking forward to playing on a Mac, check out the new version on our store page. You'll just need OS X 10.9 (Mavericks) or newer. With that complete, we're focusing our efforts on our next major update, which will add support for single-player parties. We've already made some progress and hope to release the update by the end of May. Plot-Armored Titan: No promises, but we think we'll have it ready within the next week. so its almost end of July ...any progress on the SP parties udpate? Yury1414, I wish we could offer Conclave in other languages, but we can't afford it on our current budget. Between the story and the interface, the game has too much text to localize. LoneWolf, we might be able to add achievements in a future update. Can't make any promises right now, though. I really need the Russian language! Please!